Ask any number of recording engineers to name a classic make of mixing console and chances are the top answer will be – give or take the odd SSL – Neve. Push them further to identify the company’s most revered design and the reply will almost certainly be as simple as four numbers, the 1073. 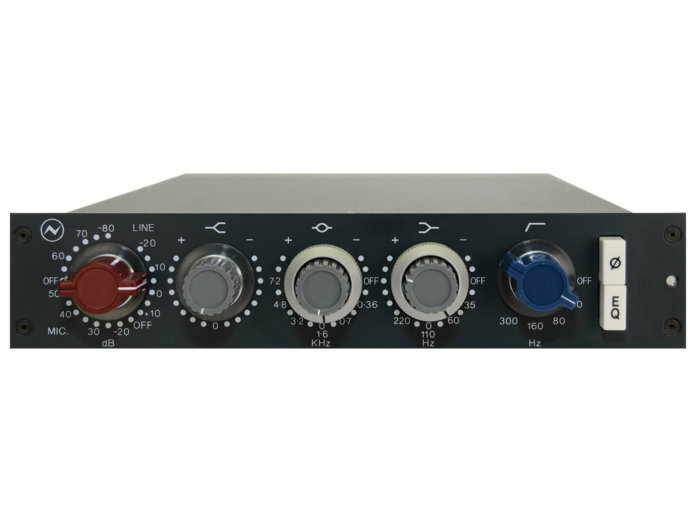 As legendary analogue recording equipment goes, the Neve 1073 mic preamp is up there with Neumann mics, Pultec equalisers and Fairchild limiters. It’s in the top five pieces of classic gear for so many producers, and the demand for its sound has ensured it’s been remade, reworked and reimagined into many a modern-day piece of hardware and software. That Neve sound is everywhere, so what has made it so special? The 1073 story begins in 1970, when Rupert Neve was asked to design a new transistorised console for Wessex Studios. The Neve A88 console at Wessex boasted 28 input channels incorporating the 1073 microphone/line amplifier/EQ module. Word quickly spread about the full-bodied, expansive sound of the console and soon, Neve was building consoles for studios around the world. Discovering that the Neve’s larger-than-life sound was musically flattering to the 8-track rock recordings of the day, engineers enthused about the ‘British Sound’. A pure Class-A design, the preamp features transformer-balanced inputs and outputs, reflecting Neve’s background in broadcasting, where balanced operation was standard. The three-band equaliser comprises a high frequency shelf fixed at 12kHz, along with a peaking EQ operating at six points between 360Hz and 7.2kHz, and a low shelf with four options between 35Hz and 220Hz. The EQ section is exceptionally sweet and musical which, coupled with the preamp’s naturally phat and hefty character, flatters most of the audio that is processed through it. I’ve never had the pleasure of working on a genuine 1970s Neve console armed with the 1073 module, although I once recorded a session on a later Neve desk from the 1980s; however, while it sounded clean, open and transparent, it lacked the smooth, rounded tone only the 1073 brings to the party. Over the years, I’ve used many 1073 units, both genuine Neve products and more affordable copies. Invada Studios, where I conduct most of my sessions and reviews, has a rack of Hairball Audio Lola units, which have an extremely similar character to the 1073. The Golden Age Project PREQ-73 is a great-sounding 1073-style unit with HF and LF shelving EQ, which doesn’t attempt to mimic the look of Neve products. Warm Audio’s WA273-EQ, which I enthusiastically reviewed a while back, is a more faithful copy of the Neve design, right down to the uniquely configured Mic/Line input gain switch. As good as these replicas are, the currently available Neve 1073 units still have a certain something the copies don’t quite have. Though the Carnhill transformers used in the GAP and Warm units are excellent, offering a huge slice of vintage Neve-like sound, they can’t match the Marinair transformers only found in genuine Neve-branded products. Plug-in users can buy a 1073 channel strip from Universal Audio – the experts in the field of plug-in emulation – which is an extremely convincing emulation of the original Neve sound, while Waves offers a strip mimicking an Andrew Scheps-modded version of the 1073. The UAD version has, to my ears, a more expansive sound, with a glossier high end in comparison with the Waves one, which is thicker sounding with a less open character. Whichever 1073 variant you use – and there certainly now seem to be many different routes to take, in both hardware and software – adjusting the level between the input gain and output control will alter its character. With modest input gain and the output set high, the classic larger-than-life Neve sound is heard in all its glory. Increasing the input gain and easing back on the output adds a colourful saturation that adds to the vintage vibe. That legendary sound has graced thousands of recordings from the 1970s and beyond. Now approaching its 50th anniversary, the Neve 1073 continues to be the most iconic British recording channel of them all.